Trying to find the perfect Manchaca plumber to work with sounds like it will be a difficult and daunting task. The truth is you already have the answer that you need right in front of you. 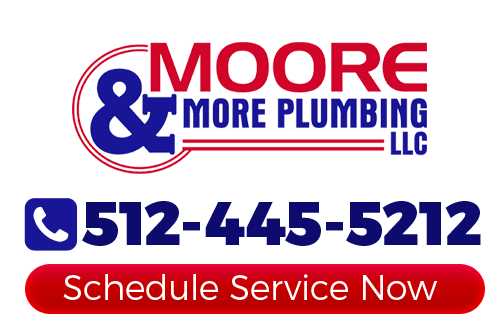 Our experts here at Moore & More Plumbing are known for high quality workmanship, customer care and more than reasonable pricing. The last thing that you want to do is take a gamble, when it comes to the quality of work that goes into your plumbing. Be it for your residential or commercial space, our team is ready to get the job done. In fact so much so that we arrive to every job with a fully stocked truck so we can get the job done on the first visit. With three decades of hands on expertise behind us, we know what it takes to provide quality care for each client. Every customer has unique and individual needs. Our job is to determine what those are and execute the work with professionalism. Call our talented team of experts today if you need a plumber in Manchaca, TX. Having been in the business since 1986, one thing we have learned is that you need to be able to provide a variety of plumbing services in Manchaca, TX. There are so many things that residential and commercial clients need, when it comes to plumbing. To be the best you need to be able to take care of every type of service need. Tree Root Infiltration – Having trees in your yard is certainly a plus. However, the one drawback is that it might lead to root growth disrupting or damaging your plumbing system. The good news is that we can quickly identify that and deal with it. Drain Cleaning Services – Stop living with slow or clogged drains. But certainly don't try to use store-bought chemical “cleaners” that do more harm than good. We can provide you with a long term solution. 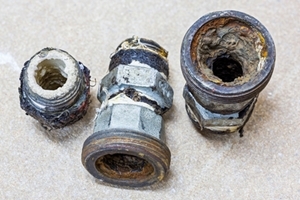 Garbage Disposals – As with most of the fixtures we work with, we can provide you with installation, repair and replacement. Having this type of system is a huge benefit, but only if it is working properly. Don't just take our word for it, let us show you in person. By seeing the work we do, you will come to understand what makes us the top choice for plumbing services in Manchaca, TX. Moore & More Plumbing is proud of the impeccable reputation that we have as a local Manchaca plumbing company. We look forward to working with you and providing you with the information and quality work you need. If you are looking for a professional Manchaca plumber then please call 512-445-5212 or complete our online request form.